Marcia Kesner’s article on Pesach cleaning and OCD has been published on the Times of Israel. 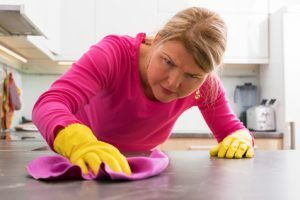 If cleaning for Pesach causes considerable stress and anxiety for the sufferer and for those around him and her, the ritual of cleaning may have passed its function of religious observance and is moving into a symptom of Obsessive Compulsive Disorder (OCD). For therapy that is supportive, non-judgmental and tailored to the needs of the Orthodox community, contact Marcia Kesner. Managing symptoms of OCD is crucial to maintaining a happy, healthy atmosphere at home.